Thank you to everyone who tuned in to our texting automation webinar, Go Beyond the Phone Call: Ways to Engage Customers with Texting! We were thrilled to feature one of our top customers, Lice Clinics of America, who shared their experience using CTM’s texting automation to streamline appointment booking requests with clients. 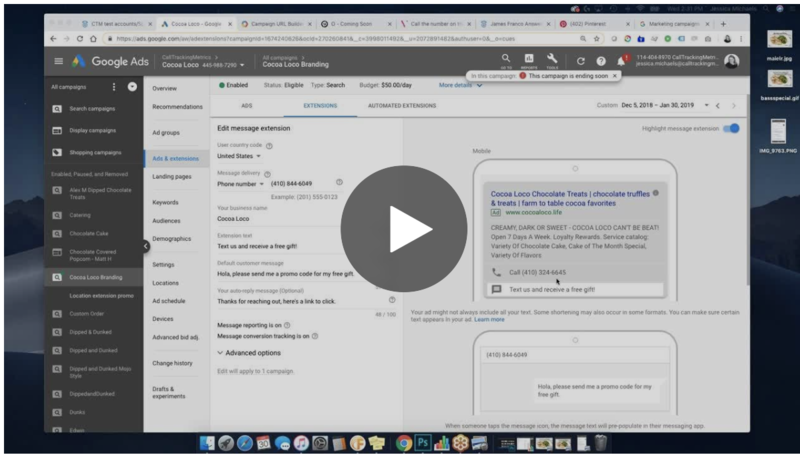 In this webinar, we touched on why implementing text messaging with your customers is so important — research shows that 66% of customers prefer to communicate this way! Plus, 98% of text messages are read within the first two minutes, so they are a great way to engage with your customers quickly and easily, without straining your resources and staff. To discover more use cases and see a live demo of how to build out some of these features within CallTrackingMetrics, enter your email below to view the webinar recording. For more on Lice Clinics of America’s story and experience using texting automation, view their customer case study here. Lice Clinics of America is the largest and fastest growing lice clinic network with 336 clinics in 34 countries around the world. Its clinic network has performed nearly half a million successful lice treatments with their AirAllé® device that uses heated air, not toxic chemicals, to dehydrate head lice. Lice Clinics of America also offers in-home treatments that can be purchased in major retailers including CVS and Amazon. For more information, visit liceclinicsofamerica.com.